For both tenants and landlords, Houses in Multiple Occupation (HMOs) can be the source of some confusion and lots of questions. For example, who needs one and how do you go about getting it? 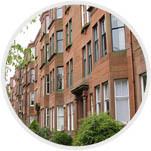 If you are a tenant or landlord in Scotland, read on and all will become a bit clearer. An HMO is a property that is shared by three or more people who are not members of the same family. There are some exceptions, for example residential or nursing homes but that is the general criteria. Landlords with properties meeting the criteria above must get an HMO licence from the council for the area where the property is situated. The council will advise of the application process and associated fees for that local authority. Who issues an HMO licence? The local council for the property area will issue the HMO licence. They will arrange to visit the property to ensure it meets the required standards, based on Scottish Government’s Guidance on Mandatory Licensing of Houses in Multiple Occupation. These standards include the provision of adequate facilities for each resident and compliance with fire safety but there is a series of checks that they will carry out. What is the purpose of an HMO licence? The purpose of the licence is to ensure that the accommodation is well-managed and safe. The checks to obtain the licence will cover the living accommodation and its owner or letting manager, to ensure they are fit and proper to hold the licence. How do I find out if my property has an HMO licence? As a tenant / prospective tenant, in most cases rental properties will be advertised as non-HMO or HMO licensed where appropriate. You can also just ask the landlord or contact your local council as they will have a list of all the landlords licensed for the area. What happens if an HMO doesn’t have a licence? It is a criminal offence to have a property as an HMO without a licence and the maximum fine is £50,000. The local council can inspect a property without an appointment if they think it is operating without a licence. If the landlord’s licence has been suspended or revoked, this means the property is no longer suitable for rental as an HMO. Refer to your tenancy agreement or take advice if you have questions about the effect on your living arrangements. The Scottish Government website has more detailed information about the legislation if you want to dig a bit deeper. For more renting tips, read Renting advice for tenants in Scotland. This entry was posted on Thursday, September 10th, 2015 at 10:09 am and is filed under Advice, Property advice, Renting. You can follow any responses to this entry through the RSS 2.0 feed. You can leave a response, or trackback from your own site.